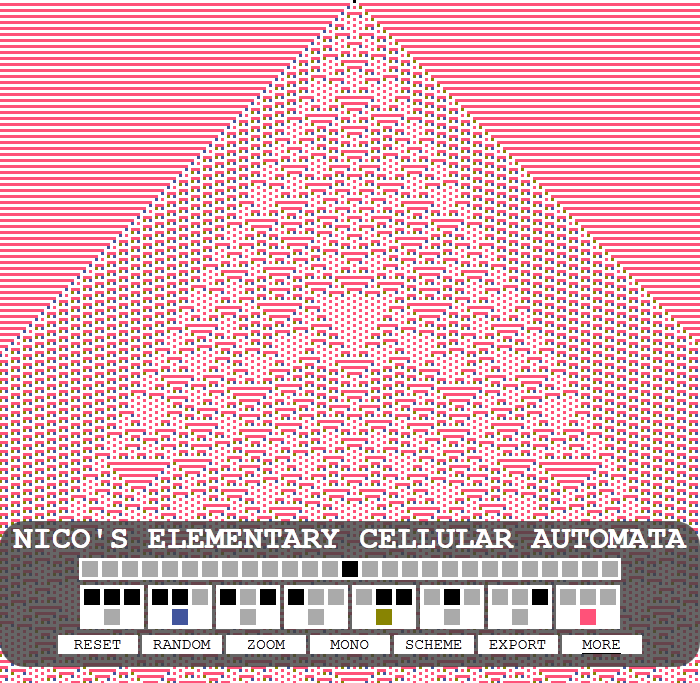 Once I made the logic grid, I figured I may as well make a page that does Elementary Cellular Automata too. It’s at http://sciencevsmagic.net/eca/. That might actually be more interesting then the logic grid to a lot of you. You can read mathworld about how ECAs work. Fill in the blank to prove you are human: "This blog is called science vs ______"